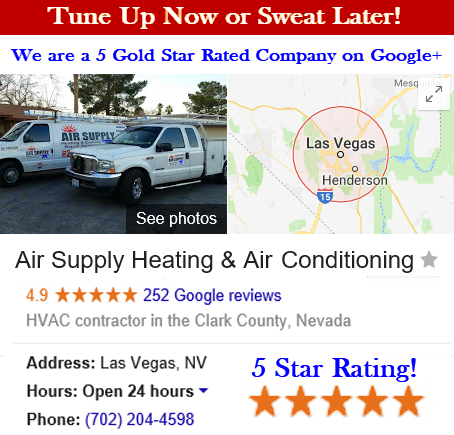 Commercial businesses and residential homes in the Greater Las Vegas, Nevada has a trusted source to help them care for maintenance, repairs, installations and replacements concerning their HVAC systems with Air Supply Heating and Air Conditioning. 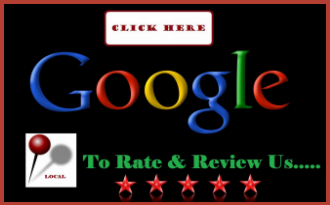 Being fully licensed, certified, and insured we can offer our customers professional workmanship at affordable pricing. Our technicians are trained, experienced, and skilled utilizing high-end products and equipment available only to licensed professionals to ensure maximum results. 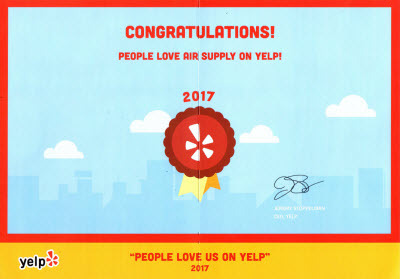 Air Supply Heating and Air Conditioning caters to commercial business owners in the Las Vegas, Nevada Valley. Servicing air conditioners, we know there are many terms and phrases thrown around you may not be familiar with. In an effort to help you understand, we have comprised a glossary for commercial air conditioning. Air Filter: An accessory used to remove solid, particles and debris from the air stream. Air filters are generally positioned on the return side of the fan and upstream of any cooling or heating coils. A minimum MERV (Minimum Efficiency Reporting Value) rating of 6 or higher is recommended by the ASHRAE. ANSI/AHRI Standard 340/360: A basic standard for performance rating of unitary air conditioning and heat pump systems from 65,000 to 250,000 Btu/hr. Approach: When it comes to the cooling towers, the approach is the difference between the leaving cooling tower water temperature and the ambient air wet bulb temperature. For chillers, the approach is the difference between the leaving chilled water temperature and the evaporating temperature of the refrigerant. Barometric Relief Damper: This is a damper that allows the excess air to exit the commercial building in order to prevent over pressurization of the building. Blower: Generally a centrifugal type fan inside of a specialized housing is a blower capable of delivering air flow at a higher pressure versus a fan. Blower Proving Switch: A switch that confirms that the blower is running. Compressor: A machine that is used to compress refrigerant gas. Compressor types include scroll, reciprocating, rotary, screw, and centrifugal. It is known as the heart of the system. Commissioning: A performance test checking the installed HVAC system to ensure it complies with building requirements, codes, manufacturer’s specifications, and performance data. Condenser Coil: A condenser coil is a heat transfer coil that condenses refrigerant and rejects heat from the system. Condenser Fan Motor: A motor that is used to drive a fan/propeller to move air through an air cooled condenser. Cooling Load: This is the total heat load that needs to be removed from the conditioned space per unit time. Cooling Coil: A cooling coil is the heat transfer coil in which the refrigerant boils and heat transfer takes place. The cooling coil lowers the temperature of the air as it travels through the coil. Cooling Degree Day: This is used to estimate the energy required for air conditioning, a cooling degree day is approximately equal to the mean daily temperature less the base temperature. Crankcase Heater: Contributes to preventing the refrigerant from migrating to the compressor during the off cycle. Damper: Typically used in zoning applications, a damper is a moveable plate installed in the ductwork used to direct or regulate air flow. Demand Control Ventilation: A ventilation strategy that introduces ventilation air based on CO2 levels in the occupied zone. The purpose of demand control ventilation is to provide the correct amount of ventilation air and to avoid costly over ventilation. Discharge Air Heating Reset: A method of controlling coil leaving air temperature during heating based on the outdoor temperature. Economizer: Used to reduce the mechanical cooling load, an economizer allows the use of outside ventilation air for supply air when the enthalpy or temperature of the outdoor air is lower than required supply air during the cooling cycle. Energy Star: Applied to unitary equipment 20 tons or less, Energy Star® labeled equipment exceeds EPA guidelines for energy efficiency. Exhaust Air: Removes air from inside the building to outside the building. Typically used for removing odors or for proper building pressurization. External Static Pressure: Pressure that the fan must overcome due to losses after the fan or unit. Typical external static pressure loses include ducts, fittings, registers and diffusers. Freeze-stat: A thermostat located on the evaporator coil that protects the coil from ice build-up damage. Full Load: The maximum load that a piece of equipment can handle. High Efficiency: a term frequently used to indicate that the equipment is more energy efficient than average. High Pressure Switch: A switch that protects the compressor and system from abnormally high discharge pressure conditions. Hot Gas Bypass: Used to control the capacity of the system at low loads, hot refrigerant gas is bypassed to the low side of the system to better match evaporator capacity to the load. Humidifier: A device that introduces moisture into the air stream for humidification purposes. Humidistat: A humidity sensor that is used to control heating and cooling equipment to maintain desired humidity levels. Latent Load: Load due to moisture introduced into a building. Latent loads may come from ventilation air, people, equipment and infiltration. Latent loads are a concern for cooling and humidifying applications. Life Cycle Cost Analysis: Assesses the total cost of ownership. It includes material cost, installation cost, operating expenses, maintenance expenses and often replacement expenses. A life cycle cost analysis can be used to determine if a new or a high efficient system should be purchased. Load Calculation: A detailed calculation of the heat loss/gain for the building that is used to size the heating and cooling equipment. Load calculations for commercial buildings are typically performed using software that takes into account historical weather data. Low Pressure Switch: A switch that protects the compressor and system from abnormally low suction pressure conditions. Make Up Air: Outside air introduced to the space to prevent negative building pressures and to provide ventilation air. Mixed Air: Return air from the space and outside air mixed together. Part Load: A load on a piece of equipment that is less than its maximum capacity. Programmable Thermostat: A thermostat that his capable of keeping different cooling and heating schedules, based on building usage, for efficiency and comfort purposes. Reheat: Heating air that has previously been conditioned. Reheat Coil: Typically located downstream of the cooling coil in dehumidification applications, the reheat coil increases the temperature of the air after it passes through the coiling coil. This is a sensible heating operation. Return Air: Air returned to an air handling unit from the conditioned space. Roof Curb: Roof support structures for equipment to be placed on. SEER (Seasonal Energy Efficiency Ratio): The SEER rating is the cooling output divided by the total electric energy input during a typical cooling season. Sensible Load: The load required to keep the temperature in the space constant. Sensible loads can come from ventilation, infiltration, people and interior loads such as lights and electronics. Smoke Detector: This is a device that detects smoke. Standard Efficiency: Term used to indicate that the equipment has average efficiency. Supply Air: Air provided to condition a space. Thermal Expansion Valve: A valve that meters the flow of refrigerant to the evaporator coil. The flow is metered based on superheat leaving the evaporator coil. Thermostat: A temperature and humidity sensor that is used to control heating and cooling equipment to maintain desired temperature and humidity levels. Total Static Pressure: Pressure that the fan must overcome due to pressure losses of the entire system. Typical pressure loses includes coils, filters, fan, ducts, fittings, registers and diffusers. External Static Pressure does not include the pressure loss of the fan or unit. Variable Air Volume: A type of system that delivers a variable air flow quantity at a variable supply air temperature. Ventilator: Mechanical equipment that has the ability to supply the space with ventilation air. VOC: Volatile Organic Compound; emitted gases from solids or liquids. VOC in a space is often reduced by supplying the space with ventilation air or by filtering the return air with a high performing filter. 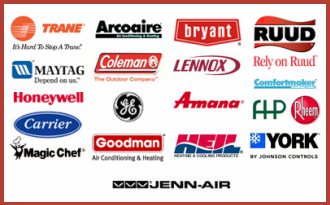 Contact us today for all your air conditioning and heating needs. Air Supply Heating & Air Conditioning is standing by.